The German-Maltese Circle was founded on the 18th October 1962 with the aim of “promoting closer understanding between Germany and Malta in all appropriate fields of activity and relationship, excluding political activities”. 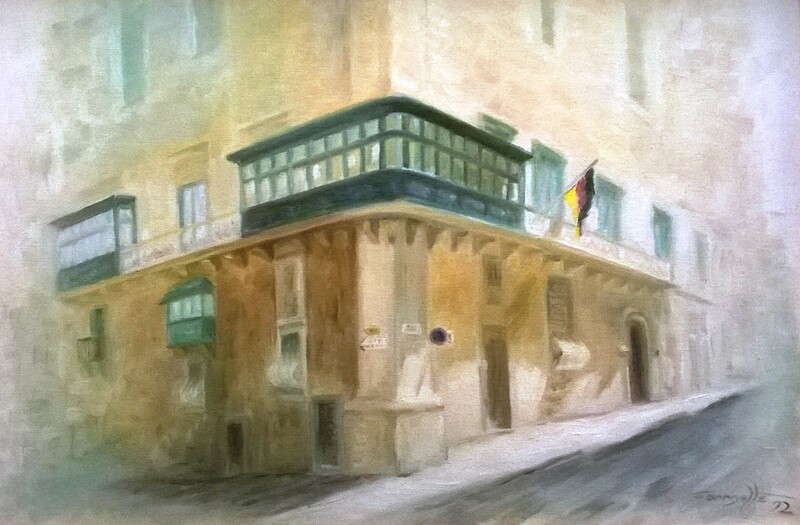 From a modest beginning with a membership of about 60 persons and with no fixed premises of its own, the German-Maltese Circle grew through the years into a leading national adult education and cultural centre housed in Messina Palace, a beautiful 400-year old palace in Valletta. The German-Maltese Circle is an independent, non-profit making organisation which is administered by dedicated persons who freely oblige themselves to promote the Circle’s ideals. To this end, the German-Maltese Circle has been organising various activities such as exhibitions, film shows, cultural tours, forums, lectures, seminars, concerts, choral performances by visiting German choirs, liederabende, social and sports events – in fact, anything which helps to make especially the Maltese public more conscious of German culture and the German way of life. The German-Maltese Circle regularly organises German language courses to adults and to schoolchildren. The Circle is the only centre in Malta which offers the highly prestigious Goethe Institut Certificates under licence by the same Goethe Institut. Facilities offered include a well-equipped book, DVD and CD library along with research and reference facilities, an in-house coffee shop and restaurant, along with exhibition and conference rooms. Full cooperation is maintained by the Circle with the Embassy of the Federal Republic of Germany in Malta, the Goethe Institute and with numerous other German and local institutions. It is impossible to mention the many personalities who have honoured by their presence the German-Maltese Circle, but perhaps one could mention Professor Ralph Dahrendorf, then Under-Secretary of State who having recognised the potential of our Association in the field of bi-lateral relations between the two countries, in 1971 approved the granting of regular financial assistance from the Government of the Federal Republic, Dr. Richard von Weizsäcker who visited Messina Palace in 1990 as the first Federal President of a united Germany and President Prof.Dr. Horst Köhler in 2007.